Yes it’s absolutely finished and no time or money required investing. If you want to express yourself you can paint it or stain it but it’s not necessary. You can leave it as is and enjoy natural and fresh wood benefits. Wood is rooted in our brains we enjoy the pattern and the smell it’s warm to touch. Once you inside our cozy little cabins you will feel instant calmness and relaxation. Not any other company can offer the interior like ours because they are using framed stud construction and we are using log cabin method known and tested for thousands of years and perfected with modern machinery. Because of the natural materials and finished inside the opportunities are endless. 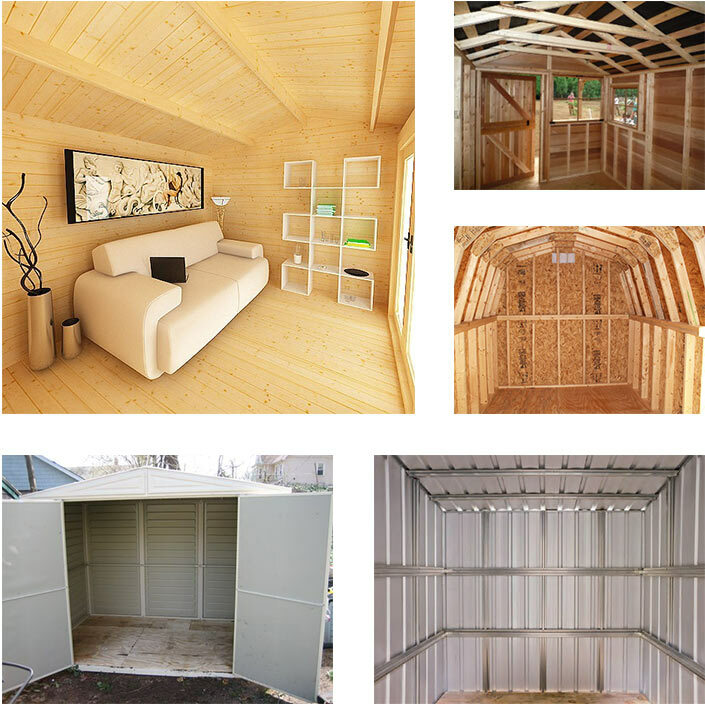 It can be an art studio, a play house, guest house, home office, hobby room, work shop or at least a beautiful storage building.